Senior officials of the Hong Kong government and the China Liaison Office – Beijing’s organ in the territory – attended a dinner fundraiser organised by the pro-Beijing DAB party on Monday. 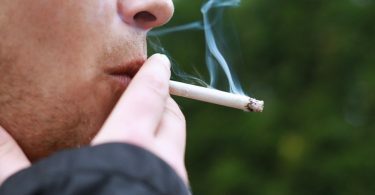 The event raised tens of millions of dollars for the largest party in the legislature. 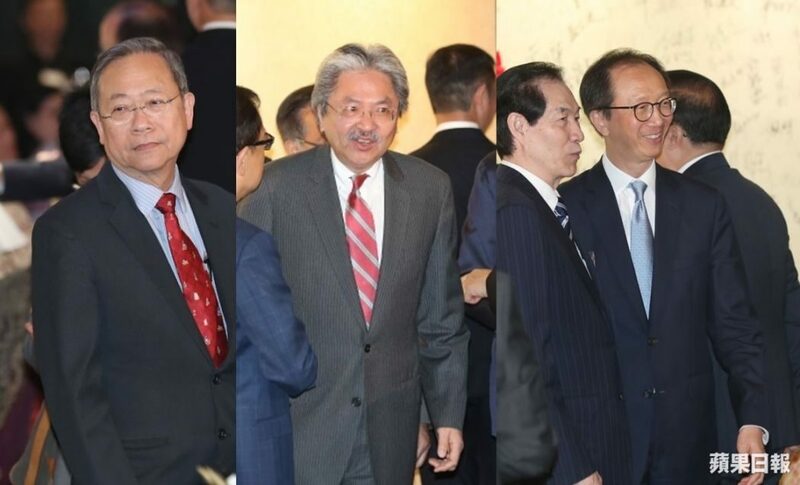 The fundraiser, held at the Convention and Exhibition Centre, was attended by top officials such as Chief Secretary Carrie Lam, Finance Secretary John Tsang, and Secretary for Security Lai Tung-kwok. They previously boycotted fundraisers for the Democratic Party and pro-business Liberal Party. 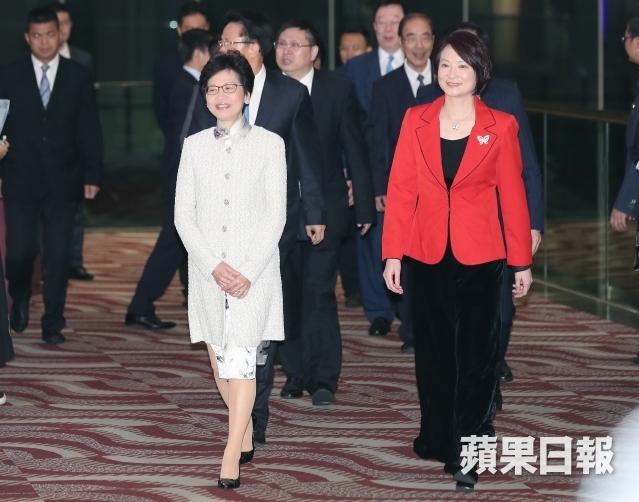 Carrie Lam (left) and DAB chair Starry Lee (right). Photo: Apple Daily. The fundraiser featured an auction of items donated by politicians. Calligraphy by the Liaison Office Director Zhang Xiaoming was sold for a record HK$18.8 million to Gao Jingde, chairman of the property management company Sunbase International and a member of China’s top advisory body, the Chinese People’s Political Consultative Conference (CPPCC). Sunbase’s clients include the People’s Liberation Army Hong Kong Garrison, the Hong Kong government, statutory bodies and the MTR Corporation. At the last fundraiser two years ago, Zhang’s calligraphy was purchased for HK$13.8 million by billionaire and CPPCC member Xu Rongmao. This year, Xu acquired calligraphy by humanities scholar Jao Tsung-i for HK$3 million. (left to right) Secretary for Security Lai Tung-kwok, Finance Secretary John Tsang and former finance secretary Antony Leung at DAB’s fundraiser. Photo: Apple Daily. A copy of the Basic Law, signed by senior Chinese official Zhang Dejiang, was sold for HK$1 million to the son of businessman Tam Kam-kau, who is also a CPPCC member. Two years ago, Zhang Xiaoming raised HK$11 million by singing the theme song of a mainland TV drama. Secretary for Home Affairs Lau Kong-wah, who was undersecretary for Constitutional and Mainland Affairs at the time, also performed a dance onstage. 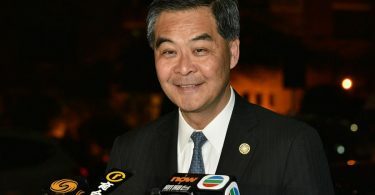 Lau remains embroiled in a controversy after it was revealed Monday that he belongs to all of the parties involved in applications for a grant and land by a uniformed group with ties to Chinese and Hong Kong officials. This year, the singing performance of DAB chair Starry Lee and her predecessor Tam Yiu-chung drew HK$5 million of donations. DAB lawmakers Ann Chiang, Holden Chow, Wilson Or and Edward Lau also raised HK$5 million by performing together. More than 600 people attended the event. Other attendees include famous singers and actors from Hong Kong. The DAB – Democratic Alliance for the Betterment and Progress of Hong Kong – is the largest pro-Beijing party in the territory. Its holds a dinner fundraiser every two years. In 2014, the DAB raised nearly HK$70 million. In comparison, the Civic Party raised a “record” HK$2.4 million at its fundraising dinner this year, whereas the Democratic Party received donations of HK$3.4 million at last year’s dinner.